I have often seen how a lot of Eastern philosophy seems to have no formal research data. However, if you look at the concepts that Eastern philosophy has integrated, and then go back looking for scientific evidences from the Western philosophy, I think there’s a pretty good integration. And if we keep working on that integration, then I think there is some strong Eastern philosophy thinking which Western philosophy thinking can, like the yin and yang, meet up to really inform what coaching could be about. There are many significant philosophies in this idea of ‘East’ – for example, China, Japan, Hong Kong, India, Sri Lanka and many more… To make a start, I believe that ideas which come from Indian philosophy can be useful here. 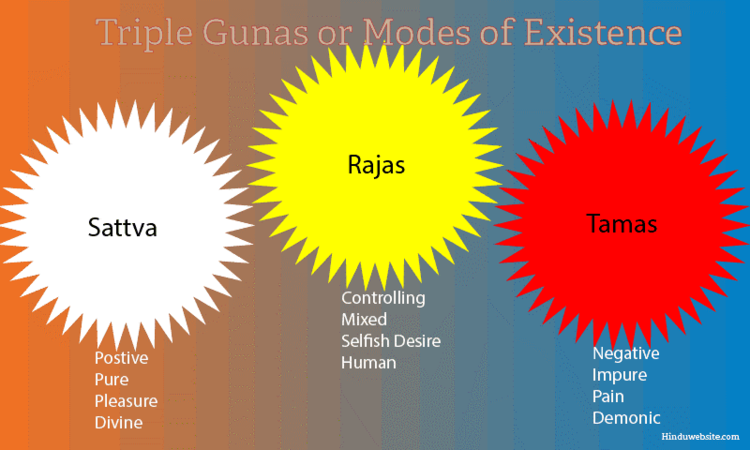 I would start with three types of existence that exist within people, which comes from a typical Indian philosophy which talks about the Sattva, Rajas and the Tamas. These states, or energies, exist in everyone, all of the time. Indian philosophy does not clarify these as stages. “Yes, it can be a stage of life, but it actually categorizes more of a personality type.” Rather, it classifies people as belonging to three broad boxes. People can often go through a process that follows the three types of existence. This is where philosophy and neuroscience research has a lot of integration. We begin with words that can be taken from different philosophies which help to bring together a common ground and understanding. We know that language as a function can free itself from the cortex when it starts growing around the age of 24 to 30. It is at that age that you would be dominated by the Rajas – yet they are still not polished, and so you cannot enjoy everything life has to offer. We know that the prefrontal cortex also has a part to play in the mental function of learning. Here you have access to your experiences, those that come from memory, your internal experiences, the top-down processing and the bottom-up processing that altogether drives the perception. These then become much more methodical and broader in the Tamas. With this development, your thinking starts to undergo a transformation. It becomes, for example, more willing to really contribute to the society. Does this happen because people give up? No. It happens because people have enjoyed, are happy, and now they think, “Okay, I’ve seen it all.” That’s the growth of the brain function in which you actually shift your experience and start looking at the self-directed people in society, as I say, as against experiences-directed people in society. So the experience of neuroplasticity arrives from both Rajas and Tamas, especially when you are talking about higher levels. When you do talk about higher levels you are talking about the inner call, you’re talking about self-realization, you are looking at islands of self-motivation and stuff like that. So that is how I see these two disciplines integrating together. One aspect of Eastern philosophy says ‘to realize’, to the extent that I know. As I accumulate social experience and contemplate the purpose of life, we are realizing our ‘humanity.’ Human Beings have largely matured. For this realization to become ‘complete’, we go through a process of reincarnation, or rebirth, again, and again, and again, until a time you are able to reach the Sattva mind set. For me, that is individuating. You actually start looking at the experiences. You start looking at what is positive, pure, pleasurable and divine, which is Sattva as against Rajas – Rajas being more about a controlling mind set. There are also people who are very human, and full of Tamas, which can be negative, impure, painful and dominating. As you move to Sattva, it becomes more positive, purer, serene and more serving. You move from, I, me, myself to be ourselves and the world. So that is individuating for me. That change of mind set is, I think, a big task for coaches to see as being both worthy and more relevant. I see that my purpose is driven by Sattva. The individual starts to realize “I want to be positive”, “I am purer”, “I’m not driven by pleasure”. This seems to be the purpose and goal of individuation. Individuating does not happen (and may be, should not happen) when individuals are driven by Tamas. One needs to first enjoy the pleasure before one can give it up! That would probable make the life transformation more complete! Another way of saying this is if people realize that their purpose of life is broader and not simply just about existing. Connecting it to Western philosophy, we might discuss the hygiene factors, because you’re not yet in the growth factor. We need to enjoy pleasure and pain before we give it up. As we move up, we move from Tamas, and we are able to be more accepting of the pleasures and the pain. We may even draw learning experiences from what pleasure and pain teach us. Let me share an example …. Consider the story of Lord Buddha. He was a royal by birth. As a prince, who was still young and going through early experiences, he was often hidden from all the pains of the world. He was not allowed to see any pain. But when the prince did get an opportunity to see people suffering that pain actually created ‘insight’ for him about life. (We might consider insight as a neuroscientific explanation of the Aha moment). It made the prince move toward the Satvva state of mind. However, those people that are yielding Rajas, they use that energy to control the mind. Therefore they seek penance, deep penance, and they try to get through all the distraction that would remove you from this penance. “The world is in us. We create the world. There is enough for everyone.” When you reach the state of Satvva, you ‘soar’ high! And, when we move to Sattva, you will actually realize the ‘pure state’. And just one more – a more recent example from cricket – India against Bangladesh! At the very last ball to be bowled, the skipper of India gets himself ready. The other team has to get two runs to win; one run to tie. He is absolutely focused, and very cool. He signals the bowler to bowl the ball outside the leg stump. The batsman misses the ball and he, as the wicket keeper, collects the ball that goes through to him. As the player at the other end has to run, he then runs down to hit the stumps with the ball before the other player can reach safety; the captain gets the victory, right? The energy he shows – after this, is that he is not jumping up and down with excitement, saying that, “We have done it!” He is simply part of the crowd. He says, “We may be done, but let’s wait for the final verdict to come.” Even when the final score board says that the last one is out, he still doesn’t jump in the air. That’s clearly Sattva energy. For the Bangladeshi who had a much stronger desire to simply win aimed for the big victory, they went for the big hits – and missed. When all they wanted was singles, not boundaries from big hits. Now, if you see this from Western philosophy, then we’re talking about the executive function which is now fully-loaded with all types of negative neurotransmitters. 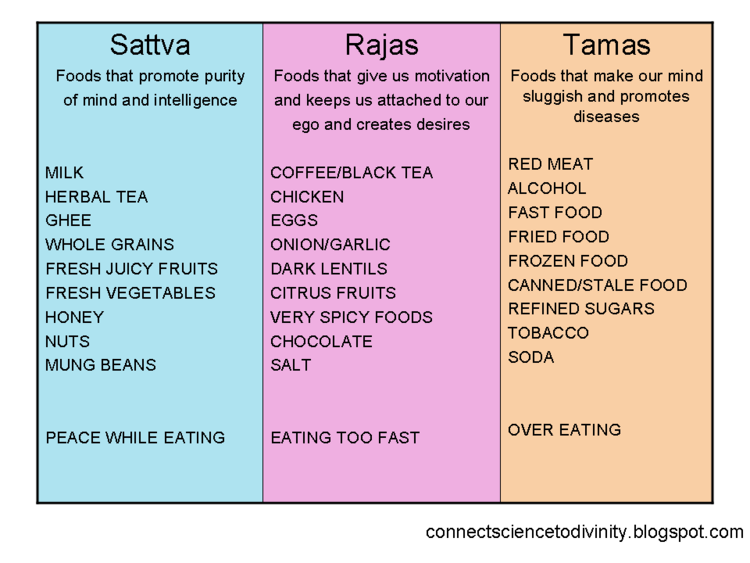 These negative transmitters shut you down from thinking, which is what happens as you grow from Tamas to Rajas. So as a coach, if you are able to work with a person, the inner conversation that you will have shall be driven by what type of energy? If your client is driven by desire, or by a pure, positive energy, what type of conversation should you have in response to this? As I’m talking to you, your inner dialogue could be saying that I need to maintain the best impression of the mind. My inner dialogue proposes to me that I need to contribute my best to the coaching world. Some of you might refer to what I’m talking about to mindfulness, for example. When we are talking about mindfulness, we’re talking about mindfulness meditation that comes from the East, from China and Sri Lanka. This mindfulness is all about being aware of the inner dialogue that is going on inside of you and through you. Please note, we are not saying that you control this inner dialogue. And so, if I know my inner dialogue and that’s the job of a coach to show them (the clients) the inner dialogue that’s going on, it then may be possible to try to reframe the inner dialogue. You can actually go higher. But if your inner dialogue is just going to be ‘unconscious’ because you are too busy dealing with the outer world then this “Unconscious” state shall continue to dominate and probable continue to be in Tamas. 6 Where do we go next with these ideas? I know how these ideas work for me in helping me work between Eastern and Western philosophies. There is still a great amount of practical detail that has to be worked out within these broad ideas. 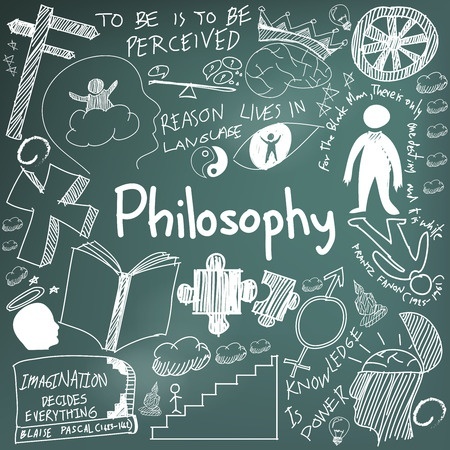 It is important to have this view of bringing all these philosophies further together. I am hoping to share more examples of how this works in practice. For example, it even applies to making sense of diet – something which may or may not be very important in any coaching agenda. It may be a hidden factor/indicator of some issue which has surfaced, but has yet to be appreciated, even at this level. R Ramamurthy Krishna who brings thirty (30) years of multi industry, multinational culture experience. A Global Professional in Human Resources, A Professional Certified Coach from International Coach federation. 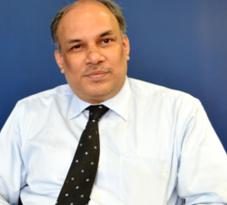 He is the only Indian to be admitted to Association of Professional Executive Coaching and Supervision, United Kingdom. Krishna bring a rare flavour of neuroscience to leadership having been certified by Neuroleadership institute, Australia. An active blogger, author and speaker. He is also one of the few persons in Chennai to run his own Executive Coaching School. He held senior leadership position in Human resources in Multi National Organisation and presently engages himself as Practicing Cognitive Transformationsist and Perspective Partner with Potential Genesis HR Services LLP.